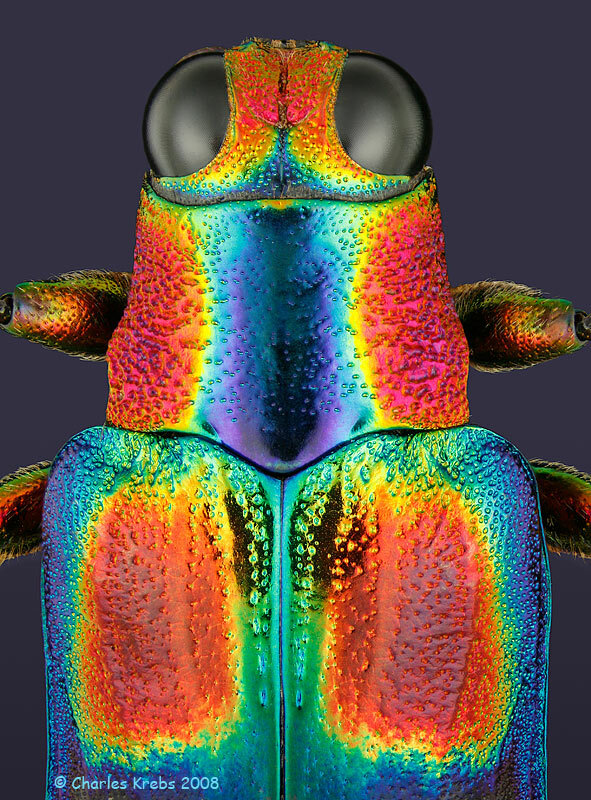 One of the most outrageously iridescent "jewel beetles". Nikon SMZ-800 stereoscope and the Canon 5D camera. Did you make 3D model from this stack? Should be nice, I think.